I LOVE Thanksgiving Turkey. I always buy one to big for what we need so we have left overs. The day after Thanksgiving it's tradition to have open faced turkey sandwiches. Then we normally ahve enough for one or two more meals. I will freeze it in meal sizes batches and then Google recipes to try out. This year I am ahead of myself. Here are 25 yummy recipes for all that leftover turkey. 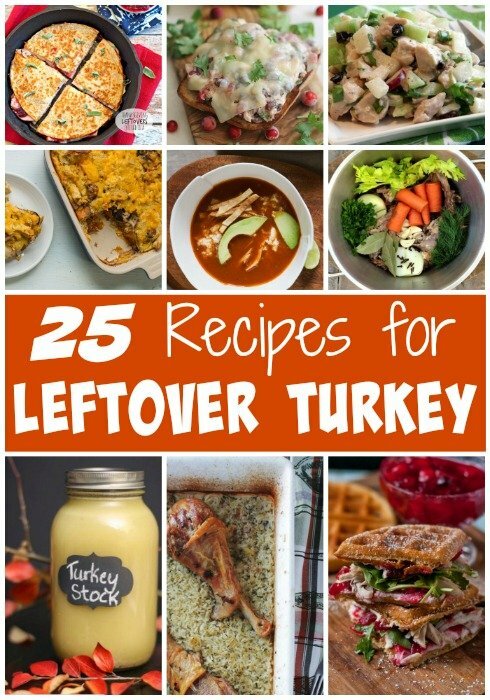 Oh YEAH, we ALWAYS need new recipes to re-deploy our leftovers. Thank you for including my recipes in your great list!